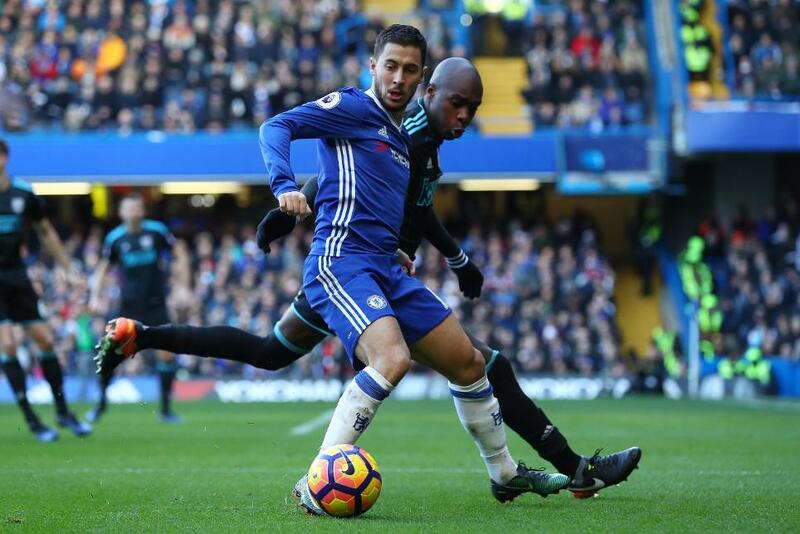 Eden Hazard is back in contention to start against Crystal Palace on Saturday, according to Antonio Conte, the Chelsea head coach. The Blues are aiming to stretch their winning sequence to 11 Premier League matches and equal their club-record streak set in 2009 and Hazard, who missed the 1-0 win over Sunderland on Wednesday through injury, is in the running to start against the Eagles. "I think he's fit," Conte told chelseafc.com. "He trained today with us. Then, I have to see if I decide to put Eden in the starting XI; not only him, but also for the other players. I have tonight to decide." Crystal Palace welcome Jason Puncheon back from suspension, but will be without a number of other players for their Selhurst Park encounter, including a key defender.